Survival expert John Hudson once studied product design at Leeds College of Art, but it’s safe to say he’s strayed from his original career path, subsequently joining the RAF as a helicopter pilot before specialising in survival training. 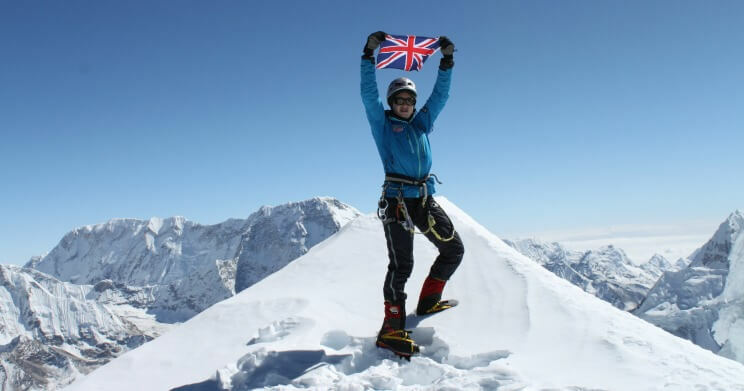 John is now the UK military’s chief survival instructor, designing and implementing the training of instructors in Land, Sea, and Extreme Environment Survival. He has also appeared on TV shows, worked with world-leading psychologists, and given training to A-list celebs. 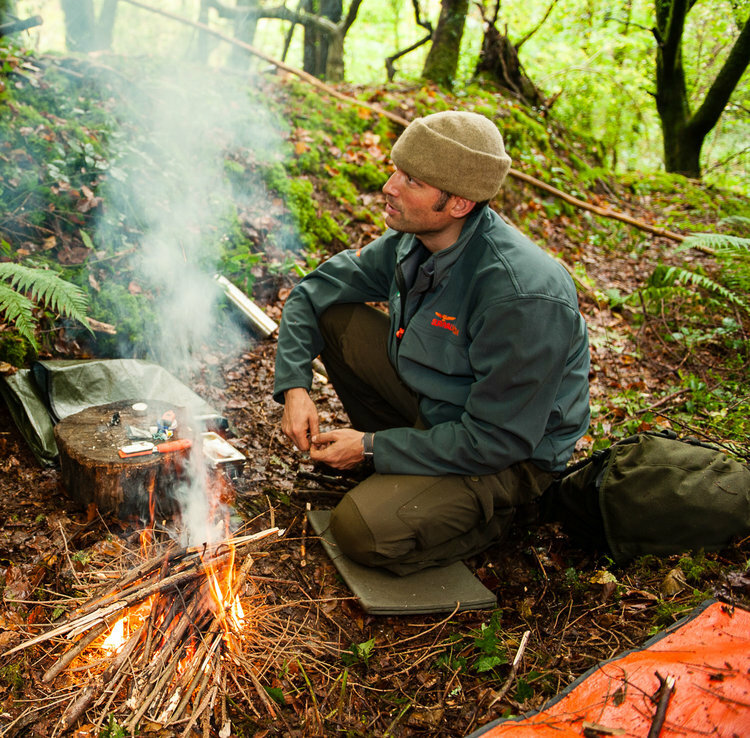 Winfields caught up with John to chat more about his role as a survival expert, his favourite places around the world and in the UK, and the one item you need to take with you to survive anywhere in the world. So I specialise in on-land, on-sea, any environment, arctic, desert, jungle, peace and wartime. My job speci cally is that i train the instructors at the UK survival training. There’s a group of guys who teach the other teachers what to teach and I’m quite high up in that. So what kind of thing do you teach? We deal with first aid first of all, because these kinds of people might be involved in an aircraft accident or some other event that means they’re stuck in a distant part of the world on their own for days before anyone can get to rescue them. We do that by training in the UK, in the wilder spaces like the woods and moors, and build their self con dence. The first building block is being self sufficient with no external support, living in an environment with minimum stuff, just your pocket contents, and getting rescued. We’re not talking about some big endurance event where they’re catching loads of animals, just keeping alive until they get rescued. We’ll do arctic training in the north of Norway, we’ll do jungle in tropical forests in Borneo, and then head o to the desert. It’s all gradual, we don’t throw anyone into the deep end. It’s a learning process. 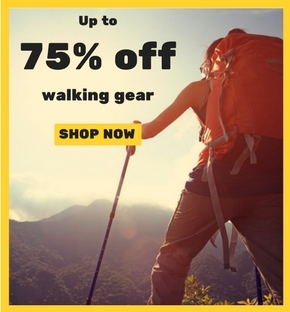 The first pair of walking boots you buy, for instance, probably aren’t going to be the ones you buy again and again – you work out what’s the best t and how to modify it – your rucksack the first time will probably weigh a ton and then you decide what’s vital and what’s not. Which environment is the toughest? When you watch survival shows on TV, they’re normally in some kind of tropical forest and it’s always painted as being a really dangerous environment, but it’s actually probably the easiest environment to survive in. It’s a psychological challenge but it’s not the number one, but that’s the one people often think is the hardest. The hardest environment to survive in is cold water. If you end up in the sea without the right kit, you will die. You’ve then got desert and arctic. You simply cannot survive in the arctic without the right clothing for more than a couple of hours. You will die. Your extremities would freeze off. The one that’s actually the hardest is cold water. About a third of the people who die in the UK, die from being in water inadvertently. And it’s the kind of water people go paddling in, but it’s only about 10-15 degrees in the summer. Our bodies need to be at 37. Water will conduct heat from you 20 times faster than the air, so as soon as you find yourself in cold water, the clock’s ticking. If you end up in the sea without the right kit, you will die. A shocking stat is something like half the people who die in open water in the UK are within about 10 feet of safe refuge. What’s the one item you need to have with you to survive? On TV and online, you’ll get a range of answers from a massive knife to a greataxe or ways of lighting fires. They’re all great, but if it’s an actual life threatening situation, there are two things you need to have. One of them you can carry with you in your head, and that’s some basic first aid training. If you know how to deal with injuries like bleeds and breaks then you’ll last for longer. The second thing you need is the right emergency beacon – you’re not a survivor until you’re rescued. The key thing to know about those is that it has to work on 406 megahertz, which is the international distress frequency. If you’ve got one of those and you paint yourself into the daftest corner, you press the button and a satellite will know who you are, where you are and that you’re in distress. Before too long, a vehicle will arrive with all the stuff you need to survive. Are we too reliant on technology these days? You have to embrace technology and use the best aspects from it, but the key thing is to not become over reliant on it. It shouldn’t be your only option. If you’re going hiking in the hills, don’t do it with just your smartphone as batteries run out, screens crack, etc. Have a compass, have a map, have a GPS. I’m not against tech, I’d rather have it. We’re still so adaptable, just look at what happens when normal people are plunged into extreme situations, which happens a lot, and we still retain that spirit to kindle the desire to get home. With a little bit of common sense, they’ll make their way to safety. Just find some green spaces, even if it’s just a park for your lunch, has been proven hugely beneficial psychologically. We do spend a lot more of our time indoors and have a sedentary lifestyle, and the way we’re forced to go to work and live our lives means we don’t get out as much as we should. Just find some green spaces, even if it’s just a park for your lunch, has been proven hugely beneficial psychologically. Living near green spaces is apparently the equivalent to having a £20k boost to your salary. What do we need to eat to survive in the wild? You can write books on this! But in a nutshell, first of all you need to identify the important stuff in food. What you needs is carbs. The myth about running around trying to catch rabbits and fish is a waste of energy. 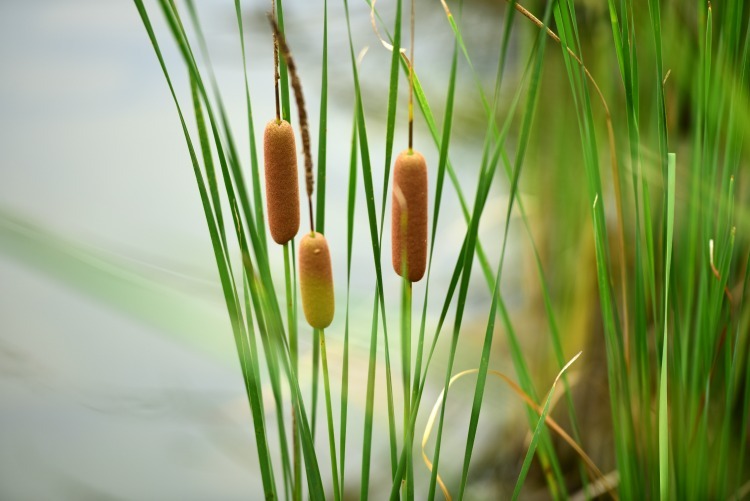 In temperate and tropical regions, look for cattail, also known as great reedmace, but most people know it as a bullrush. The big root of that is like a parsnip and it’s pure carbs. If you’re surviving, you need water as well, so you might as well get it while you’re there. If I was in the tropics I’d just take the heart out of a palm, again pure carbs. If you know a few plants like that, you’ve cracked it, you don’t have to spend ages makes snares and running round like a lunatic. What outdoor clothing do we need to stay safe when outdoors? It’s better to say what you shouldn’t wear. A few decades ago, there was a hiking event in Peaks, and several people died. And they died because they were wearing denim jeans. One of the quickest ways to die in the UK is to wear cotton on a wet, windy day. When cotton gets wet, it just conducts the heat out of you and loses all of its thermal value. You’d be better off naked. The key message is don’t wear cotton! When cotton gets wet, it just conducts the heat out of you and loses all of its thermal value. Don’t wear jeans, get some walking trousers that will either dry out quickly, or get a waterproof shell trouser that goes over the top. And same for your torso. Wear a baselayer, preferably from merino wool, a wool or non-cotton synthetic blend mid-layer and then a waterproof, windproof shell layer. Take a hat, gloves and have decent walking socks. The key message is don’t wear cotton! You’ve been to some amazing places around the world, but where are your favourite places in the UK? I love the Yorkshire Dales and the Lakes. I grew up in the North West so both of those places were within reasonable reach. And then in terms of scenery and gobsmacking beautiful places to go, you can’t beat the Highlands of Scotland. And it’s accessible too; it’s really not that far away from most places in the UK. You have a book on the way – tell us a bit about that. I use a lot of historical examples when I’m teaching, and the book is going to have historical examples of people surviving in extreme wilderness throughout history. It’s going to look at military examples, what they did and why they did it, and then apply those core principles to the everyday. It’s also going to have some simple tips to improve quality of life and confidence. A big thanks to John for taking the time to speak to us – you can learn more about what he does over on his website.